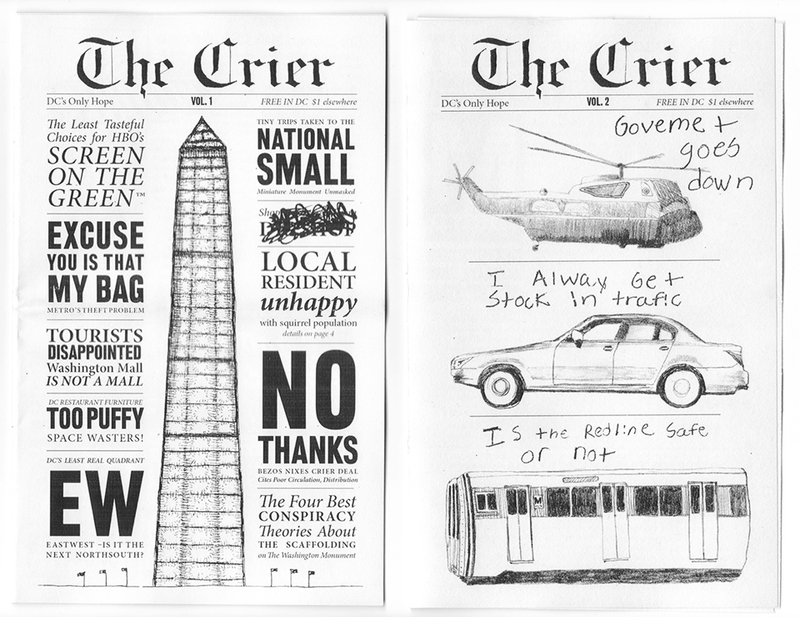 The Crier was a free community newspaper for DC, with an open call for submissions, 5 inches wide by 8 inches tall. 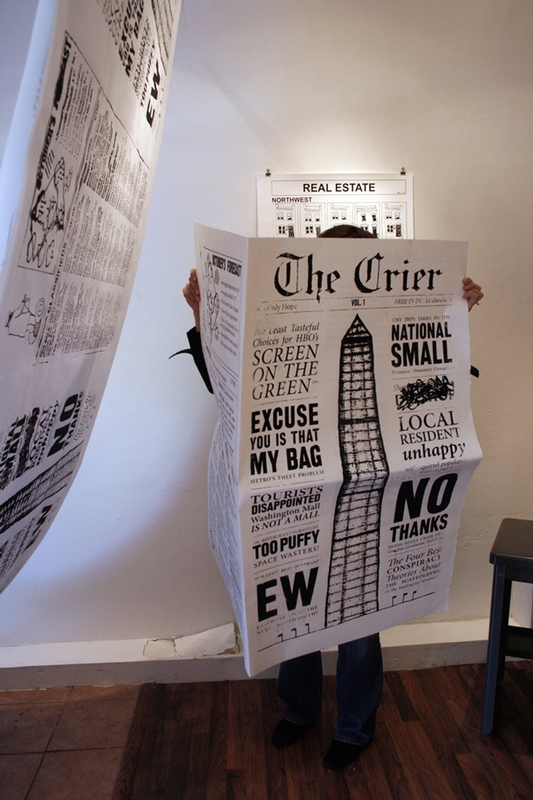 It was a collaborative project edited by Natalie Campbell and Bryan Minnich. 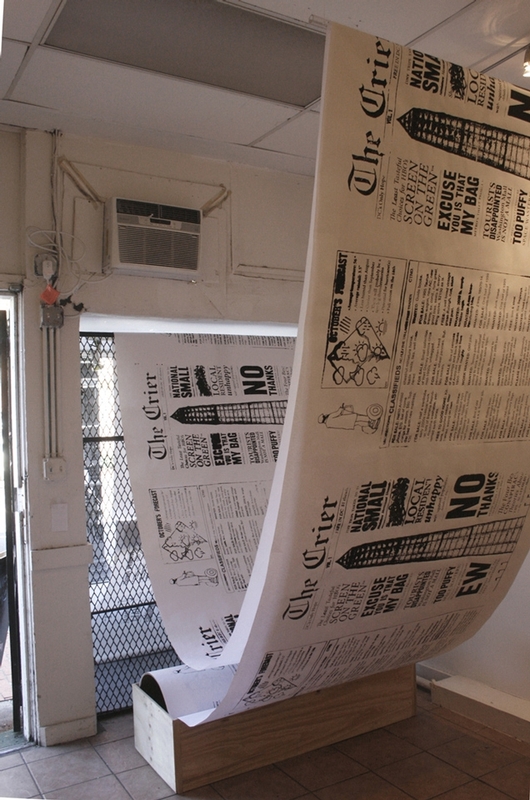 We had 10 contributors and used the first issue for the basis of our installation at Pleasant Plains Workshop.